The best general contractors in your area | All 360° Verified! We'll put up to 3 contractors head to head to provide you with the best quotes for your major renovations. Get referred to the best general contractors in your area now! We've got the best general contractors in your area! Looking for a general contractor for your major renovations? You’ve come to the right place! We took the time to find only the best out there so you wouldn’t have to. From kitchen renovations to basement finishing, our your area general contractors are qualified for the work you need to get done. At Reno-Assistance, all contractors have undergone our rigorous 360° Verification process. So, rest assured, you won’t be doing business with a quack. We’ll even send their full report your way so you can take a look at their qualifications. Why bother finding a trustworthy contractor when we’ve rounded up the best !? Plus, a Renovation Advisor will gladly answer any questions you may have, at no cost, no obligation to you. General contractors are ideal when it’s time for a major renovation – whether it be commercial or residential. They’ll be able to rally up the troops to get the work done. For instance, finishing a basement can require a slew of contractors to get work done. Many people don’t realize that with such a major renovation project, you might need an architect, a plumber, an electrician, a painter, and much more. A general contractor will be there to essentially help your renovations run smoothly by finding the right contractors for the job and scheduling their work accordingly. How many subcontractors will be involved in the process? Who will my main contact be during the renovations? At Reno-Assistance, we’ve already verified a number of elements, such as: the general contractor’s legal existence, their solvency, their judicial records, their license, their liability insurance, and their customer references. However, you are more than welcome to ask them questions regarding these topics to rest assured. What can a general contractor do for you? They can help you coordinate all the work that needs to be done when it comes to home additions - from the structural work to the finishing details. Kitchen remodels can be a little more complex than they let on. Kitchens are the central meeting space in your home and renovations done right surely contribute to the resale value of your home. Depending on the complexity of your renovation, hiring a general contractor that specializes in kitchen remodels might be ideal. Some general contractors specialize in renovating bathrooms. Why not explore the idea of getting a general contractor to work on your bathroom renovations? They'll be able to make work run smoothly between the different trades, and help you create a peaceful haven. Finishing a basement can require a multitude of trades – depending on what you want to get done in this unused space. The grander the project, the more chances you may need a general contractor to oversee the work being done. The possibilities are endless and a general contractor can surely help bring to life your dream basement - whether it be a man cave, home theater, an office space, and so on. Garage constructions can be fairly similar to home additions. Ideally, when getting a garage built, you'd resort to a general contractor to be sure everything runs smoothly - from the appropriate dimensions, insulation, materials used, etc. Whether you're simply renovating your current garage or getting one built, dealing with a garage specialized general contractor can only benefit you. When getting a home built, there are so many steps that need to be taken into consideration. It's essentially a sum of all the renovations we previously mentioned - which explains why hiring a general contractor for such an endeavour will definitely minimize headaches are maximize outcomes. Finding the right general contractor can be difficult. You might have friends, family, neighbours, that have hired one in the past. But, did they hire one that specialized in the work you're looking to get done? Whether or not you believe you've found the right general contractor for the job, you might not necessarily get along with them. It's important to trust your gut when picking a general contractor for your major renovations. That's why we've rounded up the best contractors in your area. They've all undergone our 360° Verification process! Ready to get free quotes from top your area general contractors ? At Reno-Assistance, we take care of auditing and finding the best suited general contractors so that you can make an informed decision. We'll gladly refer them to you at no cost, no obligation to you. 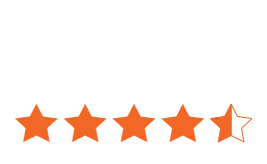 Just give us a call at 1-888-670-9817 and a dedicated Renovation Advisor will review your project and determine your needs. They'll then send up to three 360° Verified Contractors to quote your job, and then evaluate their quotes with you. Our advisors will be there every step of the way to answer any questions you might have & help you weigh the pros and cons of each quote you received. 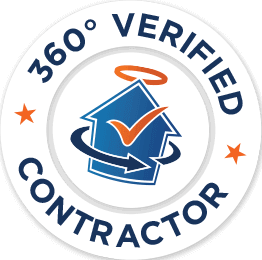 We've got hundreds of 360° Verified Contractors all throughout Ontario and Quebec. Let us help you by rallying up to 3 contractors to compete against one another for your renovation project. We'll only refer you to those we feel can meet your needs - according to your expectations, budget, your allotted time, etc. We're confident we have the right general contractor for you!